Get your money's worth at the Quality Inn. This Stuart, FL hotel offers cozy guest rooms with all the amenities you expect. At this Quality Inn® hotel in Stuart near the Elliott Museum, you get real value for your hard-earned money. Stay awhile and let us make you feel at home. Come for the sun, stay for the fun. In close proximity to the hotel, you can explore an historic, eclectic riverside town and relax on the white sands of the Atlantic Ocean beach. Other activities you can experience includes uncovering educational museum gems and watch bucking broncos. Additional activities include Segwaying, sailing, shopping, live music, nightlife and a buzzing food scene. There are so many FUN things to do in Stuart, FL. It's time to feel lucky because you have just stepped into the heartbeat of Martin County, Florida. You can always count on Quality Inn to make you feel welcomed. It's easy to call our hotel "home sweet home" during your stay, because our number one priority is to provide our guests with all the right essentials. If you are hungry, you can grab a meal at our on-site restaurant or work in our business center. Our amenities offer so much value you'll feel like you've struck a bargain. We offer our hotel guests free hot breakfast, WiFi, coffee and an outdoor pool to cool off after a long day in the Florida sun. When you're ready to relax for the night, our smoke-free rooms have all the amenities you need for a night in. You can sit on the balcony, watch TV and sip some coffee with our coffee makers. Shopping on the Treasure Coast has something for everyone. Charming shops, art galleries, cafes, and restaurants share the streets with name brand stores. From the trendy racks of the Treasure Coast Square Mall and the upscale boutiques of Harbour Bay Plaza to the eclectic shops in downtown Stuart and Jensen Beach, you'll find a mix of charm and sophistication around every corner. Martin County simmers with enticing flavors, unique experiences, and mouthwatering selections. From waterfront views to charming villages, we have local flavors to satisfy every taste and budget, served with a side of hometown hospitality and service. You can take your taste buds to the next level at Riverwalk Café and Oyster Bar, Blue Door Coffee Bar, The Gafford, Stuart Boathouse, LouRonzo's Italian Fusion, Ground Floor Farm Café and Spritz City Bistro. Ready for relaxation? Turn off your cell phone and soak up the incredible ambiance of the Martin County shore. Martin County is home to miles and miles of peaceful beaches, beautiful water, and natural sand dunes. Martin County beaches also offer up some of the finest fishing there is. After catching the ocean breeze, you can take the family on Stuart Scoot Segway Tours or Zekes Surf And Paddle Boarding. It's time to hit the town because Marin County offers a night of happy hour drinks, live music, dancing and more. Every night you can browse through Marion County full of unique and lively bars, pubs, saloons and taverns. The Elliott Museum, located at 825 N.E. Ocean Blvd. 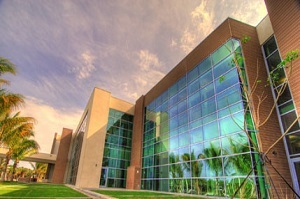 on Hutchinson Island in Stuart, Florida, United States, focuses on art, history, and technology. Named after the prolific inventor Sterling Elliott, the museum features a changing exhibition gallery and an art studio; maritime, baseball, and local history galleries; and bicycles, classic wooden boats, motorcycles, over 90 cars and trucks, and even an airplane. Over 50 vehicles are displayed in a unique robotic racking system which retrieves vehicles on demand for display on a turntable. The Elliott Museum has one of the largest collections of historic Ford Model A and Model AA commercial vehicles in the world. 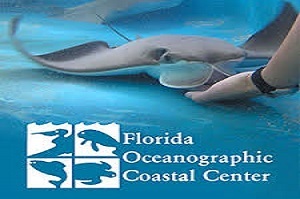 With more than 8,500 miles of tidal shoreline, 2.1 million acres of estuaries and 30 percent of the state's land cover consisting of wetlands, Florida's relationship to water is vital to the prosperity of our state. 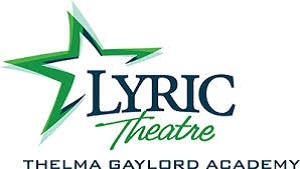 The Lyric Theatre is an historic theater located at 59 South West Flagler Avenue near Confusion Corner in Stuart, Florida. The building fronts on its north side on South West Osceola Street. Built to serve as a movie house, it is now used primarily as a stage and music venue. Additions were made on the west side to provide back stage space for these new uses. The additions also face on both streets. On November 12, 1993, it was added to the U.S. National Register of Historic Places. The Stuart Heritage Museum at 161 Southwest Flagler Avenue in Stuart, Florida, is a local history museum located in an historic 2-story frame building built in 1901 by George W. Parks. Parks used the first floor of the building for his Geo. W. Parks Grocery and General Merchandise Store and second floor for his home. In 1913, the building became the Stuart Mercantile Company and in the 1960s after a series of uses, it became the Stuart Feed Store. 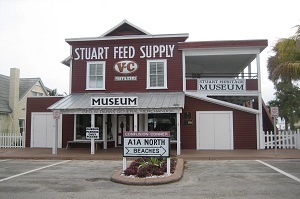 In 1989, the Stuart Feed Store was listed in A Guide to Florida's Historic Architecture. Brass Pipe Fashion Mall Inc.
Free Handicap Parking on Premises. Great hotel, fantastic staff, was made to feel welcome and nothing was too much trouble. Room was clean and spacious. Had dinner next door which was great. Lady that checked us in was fabulous, friendly polite and made our stay so enjoyable. Great stay. Super friendly staff and management. I saw other negative review and thought to myself that customer that had bad experience must have been a real acehole with miserable unhappy life. The people were very nice and the room was fine. Very relaxing and comforting stay. Delightful staff makes you feel welcome and want to return for another visit. The Room was Clean, TV was Nice Size, Breakfast was Great the Pool was Warm. Plenty of Restaurants & Shopping within a the Entire area. We were Very Happy with this place. very reasonable prices and very clean. Staff was very friendly and flannigans restaurant/bar attached had excellent food and a friendly atmosphere. Just a stop over on our way to the keys. Got there in the late evening. Hotel was nice, clean and comfortable.